Catch all live updates on Lok Sabha Elections 2019. The polling for the same will be held in seven phases, beginning April 11. The counting of votes will be conducted on May 23. 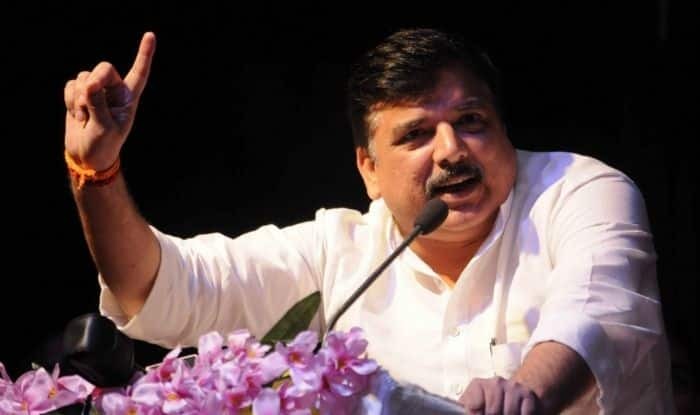 LS Polls 2019 Live: AAP MP Sanjay Singh on an alliance with Congress: In Punjab, we’ve 4 MPs and 20 MLAs and Congress doesn’t want to share seat there; the same situation is in Haryana, Goa and Chandigarh. In Delhi, where they don’t have any MLA or MP, they’re demanding 3 seats. So, this alliance is not possible. LS Polls 2019 Live: BJP MP from Ranchi Lok Sabha seat, Ramtahal Chaudhary, resigned from the party. He said he will contest independently. The BJP had announced Jharkhand Khadi Gramodyog Board Chairman Sanjay Seth as its candidate from Ranchi. LS Polls 2019 Live: Congress is now openly claiming that the middle class of the country is selfish and therefore, they are planning to hike taxes on them: PM Modi. LS Polls 2019 Live: “Naamdaar poochne gaye the haalchal aur bahar nikalte hi aisa jhoot bola koi kalpana nahi kar sakta hai. Manohar ji jo maut se muqabla kar rahe the. Aisi paristithi main, ye jhoot bolne walon ko safai dene ke liye unko nikalna pada,” PM Modi in Goa. LS Polls 2019 Live: “Steps like e-Visa and Visa on arrival have promoted and boosted tourism in Goa. Besides, we are upgrading the infrastructure. We have ensured connectivity of all sorts. Panaji is being developed as a Smart City which will also promote tourism,” said PM Modi. New Delhi: Congress president Rahul Gandhi on Wednesday filed his nomination for Uttar Pradesh’s Amethi parliamentary seat. The leader also conducted a roadshow in the district, during which he was accompanied by Robert Vadra and sister Priyanka Gandhi. Meanwhile, Prime Minister Narendra Modi addresses a rally in Junagarh of Gujarat while asking the gathering if they are proud of the ‘chowkidar’. He also addressed another rally in Gunsada village in Songadh taluka of tribal-dominated Tapi district of south Gujarat. “The PM will address people from Bardoli as well as adjoining Navsari Lok Sabha seats in that rally,” a release by the BJP on Tuesday informed. The Prime Minister will also address a poll rally at Goa’s Dr Shyama Prasad Mukherjee stadium today evening. Polls for the state’s two Lok Sabha seats and three Assembly seats (bypolls) will be held on April 23. BJP star campaigners including senior leaders Rajnath Singh, Nitin Gadkari, Suresh Prabhu and Smriti Irani will address meetings in North Goa and South Goa Lok Sabha seats in the state. Lok Sabha Elections 2019 are scheduled to be held in seven phases, beginning April 11. The counting of votes will be conducted on May 23.